We live in one of the most well-fed nations in the world, and yet our relationship to food is often fraught with confusion and anxiety. How can the practice of moment-to-moment awareness of body and mind, support a wholesome relationship to food? In this retreat we will learn mindful eating practices, and increase our awareness of the cultural, emotional and political aspects of our relationship to food. We will have a simple lunch together using the traditional Zen practice of oyroki, which makes eating a ceremony of mindulness and gratitude. 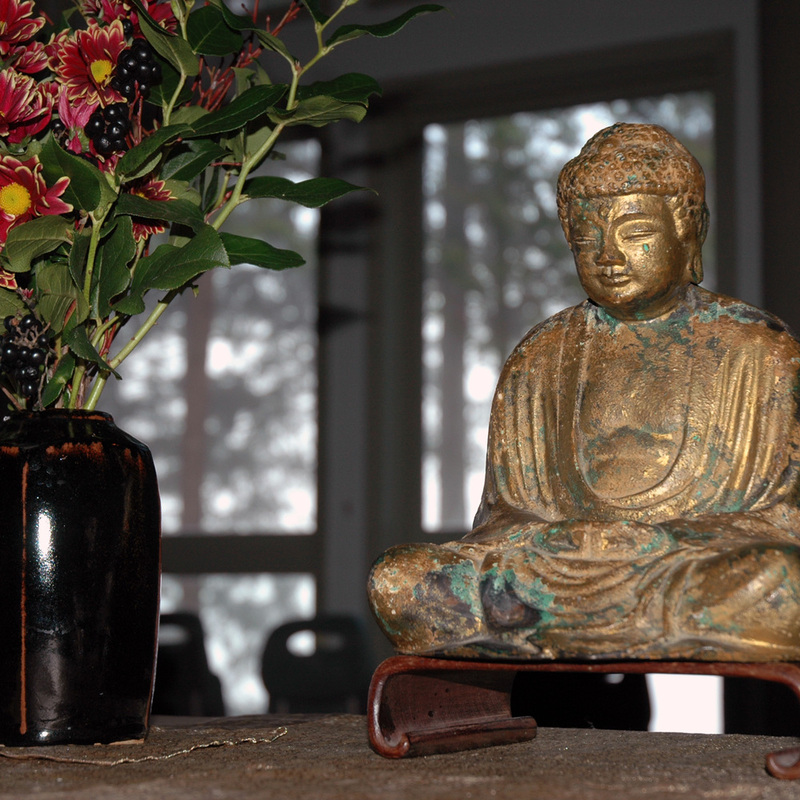 The retreat will include meditation, mindful eating practices, and small and large group discussion. Everyone is welcome, beginning or experienced meditators. Myoshin Kate McCandless is a resident teacher of Mountain Rain Zen Community. She has been an organic gardener for decades, and has studied Mindful Eating with Zen teacher, Jan Chozen Bays, author of Mindful Eating: A Guide to Rediscovering a Healthy and Joyful Relationship with Food. She loves wild strawberries.